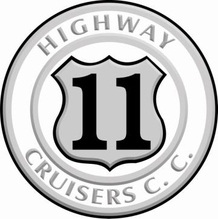 Highway 11 Cruisers C. C. is a club based in Newmarket, ON and was started in the summer of 2010 for the purpose of bringing people together for a good time and a good cause. We have been raising money for many charities including SickKids Foundation, JumpStart, Southlake, Princess Margaret, CCVF, Ernie's Journey and others through donations both at the weekly cruise nights (which average 90+ vehicles) and at special events throughout the season (including our season ending show at Upper Canada Mall in Newmarket which draws over 800 vehicles and thousands of spectators). Innisfil Beach Cruisers is a unique family geared car club striving to bring all car enthusiasts together. Owners of antique and present day collector automobiles living in the Innisfil, Ontario area started gathering together at Sobey's grocery store in Alcona beach, Innisfil, Ontario on Thursday nights. Over a number of years of these informal gatherings a social network of automobile enthusiasts developed. Some members of the group belonged to other car clubs out of the area and attended club meetings and cruise nights .Other members showed their cars at different organized car shows out of the area. Others were asked to show their cars or attend parades locally or out of the area. 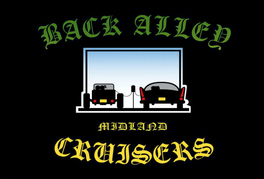 The group realized that they needed to be more organized and start a local car club with a recognizable name. The first meeting was held on October 20, 2011 at the Coffee Time Donut Shop in Alcona Beach, Innisfil, Ontario. A number of car enthusiasts attended and an Executive was Appointed. 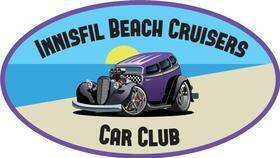 The first general meeting was held on October 27th 2011 and the name Innisfil Beach Cruisers Car Club was adopted. The purpose of the Innisfil Beach Cruisers Car Club is to promote and foster the sport and hobby of owning, showing, and building vehicles of both past and present. 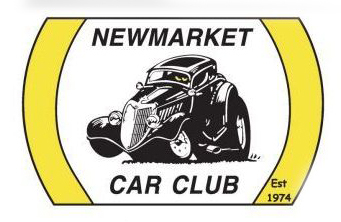 On August 15, 2015 the members of the Newmarket Car Club marked the occasion of 41 years of service to the Newmarket community. Our roots began in 1974, when a group of auto enthusiasts met for the first time in a local home and formed The Club. 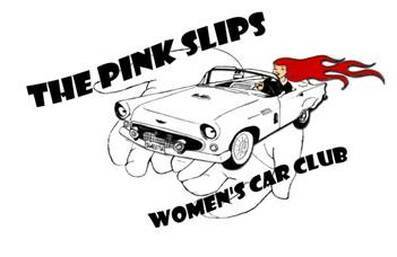 The Pink Slips Women's Car Club Story.................the VERY FIRST Women's Car Club in Canada !!! Born in January 2010 ! It is with pleasure and great anticipation we introduce you to the Pink Slips Car Club . I trust that you will find that our organization is intriguing and exciting. Pink Slips Car Club is has become a household name, captivating audiences of all ages, and walks of life at the numerous events in which we participate and host. You will discover that our fellowship of dedicated members who truly place their hearts into everything that they do. It is for this reason that Pink Slips Car Club has appealed to so many, and has become what we are today. A wonderful group of women, each with distinct talents, contributions, and most of all, the will and heart to make a difference; our hearts go out to children suffering from life threatening conditions. The reality for the child and their families is overwhelming. Pink Slips Car Club works diligently to help people in need. It is with this in mind that PSCC is dedicated to charity and those in need. The love of classic automobiles and our love of children is what drive’s us to succeed. We host and attend events locally in the community and beyond. 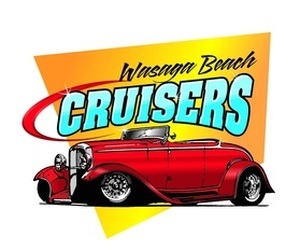 Wasaga Beach Cruisers Car Club is comprised of approx 100 members with a common interest in antique vehicles. Members are involved in the restoration, preservation and enjoyment of these vehicles. Some have been restored to original condition, some have been modified and others have survived in their original state. The club meets each Monday evening at the Wal-Mart shopping centre in Wasaga Beach. Through barbeques and food drives held throughout the year the club raises money to donate to local charities. If you are interested in antique vehicles please join us any Monday evening to see some fine vehicles, enjoy some nostalgic music and perhaps support our fund raising activities. If you would like to link us on your site and have your link appear on our site contact us today.